We are committed to caring for all patients with central nervous system and spine diseases. 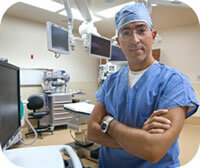 We strive for excellence and innovation in our field of expertise, without any compromise in patient care. We believe in compassionate care with an individualistic and holistic approach to medicine. Our goal is to walk along with our patients during their journey of sickness and healing. We are dedicated to advancing the field of research in order to improve the current patients’ outcomes. We are committed to maintaining cutting edge technology that has drastically improved our patients’ length and quality of life. 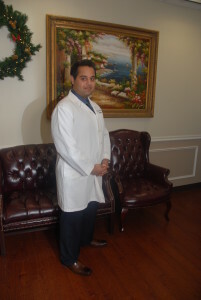 Dr. Nikhil K. Patel is currently accepting new patients including those on Medicare. Please call us at 817.701.4253 to make an appointment today. After having practiced medicine in the United States and Europe for more than a decade, I wanted to develop a different approach to patient care. Bianco Brain and Spine has been founded on solid principles of ethics, integrity, professionalism, and respect for our patients with neurosurgical diseases. Our approach to medicine is simple and effective; we treat all patients as if they were a family member. We prescribe the tests necessary to achieve the correct diagnosis and we recommend what we believe is the most effective treatment for their case (surgical or conservative). 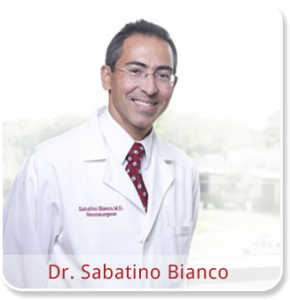 Dr. Bianco, It has been quite a few years since I met you at Baptist Hosp, but I have not forgotten how your changed my life forever . . .